Thank you for sharing the NSW Youth Week Design Competition with your networks to bring this opportunity to as many young people as possible. 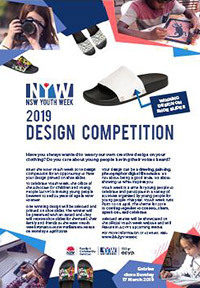 Entries are now open for the NSW Youth Week 2019 Design Competition. To celebrate Youth Week, the Office of the Advocate for Children and Young People (ACYP) is inviting young people between 12 and 24 years of age in NSW to enter. One winning design will be selected and printed on shoe slides. 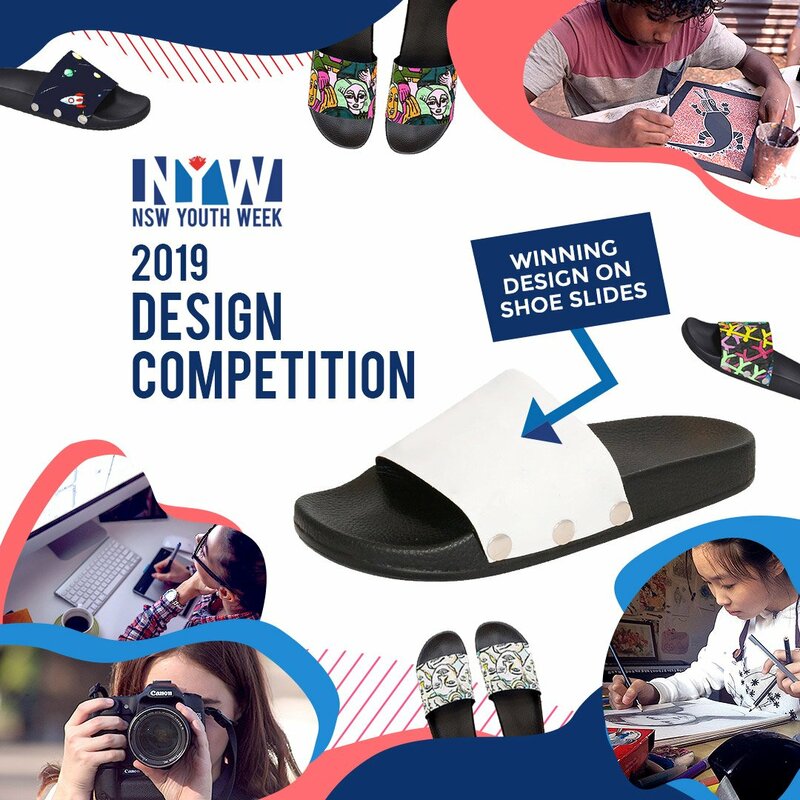 The winner will be presented with an award and they will receive shoe slides for themself, their family and friends at the NSW Youth Week Forum at NSW Parliament House on Monday 8 April 2019. Designs can include drawings, paintings, photographs or digital illustrations. All that young people need to do is download the template, create their design and submit their application form. Designs must be original works and need to be created specifically for the NSW Youth Week 2019 Design Competition. Youth Week is a time for young people to celebrate and participate in a variety of activities organised by young people for young people. This year, Youth Week runs from 10-18 April. The theme for 2019 is: Coming together to Connect, Share, Speak Out, and Celebrate.